Qatar-based Al Nisr Machinery, one of the prominent importers of key equipment in the state, has named Kaiser air compressors and Atlas Copco hydraulic mounted breakers (hammers) among its top three best-selling products in 2015. It listed CTM’s mega power generation sets as the third best-selling item. “The major buying sectors are the construction, industrial, oil and gas, real estate and infrastructure-related projects, and the two main factors key to sales appeal are product quality and after-sales service,” said Tarek Taher, managing director and CEO of First Equity Tijarah. Al Nisr Machinery is owned by State Holding Group. First Equity Partners (FEP) through its subsidiary FE Tijarah, manages the operations of Al Nisr Machinery as well as other trading companies in Qatar on behalf of the owning group. Al Nisr Machinery works closely with all the mega projects currently underway including Qatar Rail, Water Security Mega Reservoirs Project and the new Orbital Highway. Its clients include Qatar Airways. 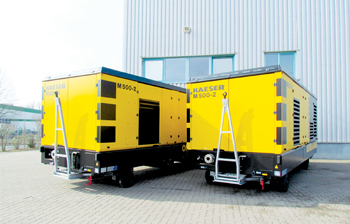 “We were the first in the region to sell two units of the Kaeser Air Compressor M 500 … We have also sold numerous 7-tonne hammers (Atlas Copco) for the New Port Project,” said Taher. The company will be introducing shortly Perin generators from Italy and MAKS generators from India to target various user segments. Also to be launched in Qatar are equipment from LeaderMec for steel cutting and bending and Paladin for mounted attachments on the Terex Backhoe loader. Al Nisr Machinery’s clients are ones that will go for a good product, notwithstanding price, says Taher. “The market is gradually becoming more price sensitive. However, this does not have a significant impact on large and established players like Al Nisr as clients always seek a comprehensive package and not just a price tag. Product quality, after-sales service and payment terms are extremely important factors in the decision-making process. With retail clients and small orders, price might be the main deciding factor, but with large corporates and mega projects, price in addition to other factors equally affect the final decision,” he explains. The company’s operations were not affected by the fluctuation in global oil prices with the market as a whole exhibiting resilience and stabilisation, according to the official. He estimated that the sales turnover grew 12 per cent between 2014 and 2015 and expects stronger growth in 2016 and 2017, and although leasing is still a new business line within the group, it has a promising future, he believes. Almost all Al Nisr sales are within Qatar. 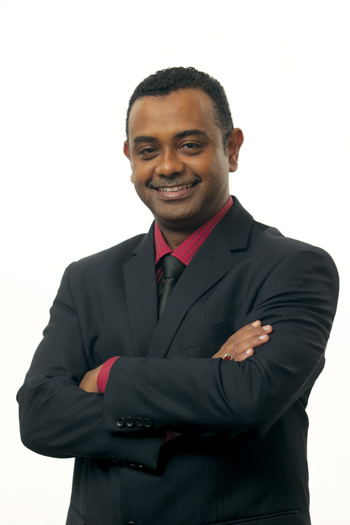 “Based on our extensive experience in Qatar, we are confident the market will continue to grow unabated. Market analysts and global research centres have a similar view of the Qatari market. The two key driving factors are of course preparations for the World Cup 2022 and the Qatar 2030 National Vision. Despite the challenges besieging the global economy at the moment and specifically the oil and gas industry, Qatar has put into motion a few mega projects that are essential to achieving the nation’s strategic goals. Significant budgetary allocations have been set aside for these mega project and thus our view of the future remains positive,” observed Taher.